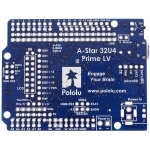 The Pololu A-Star 32U4 Prime is a general-purpose programmable board based on Atmel’s ATmega32U4 AVR microcontroller and arranged in the common Arduino form factor exemplified by the Uno R3 and Leonardo. 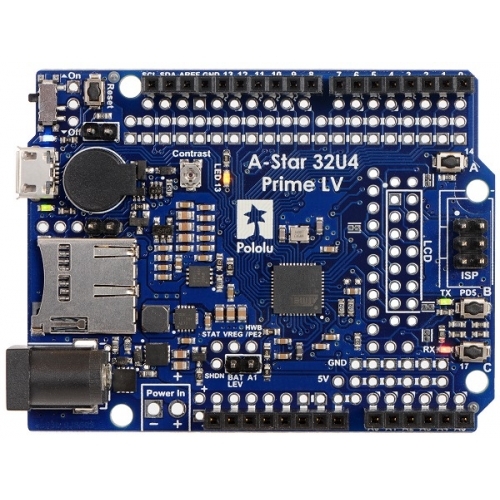 As such, the A-Star Prime (abbreviated A* Prime) is compatible with many Arduino shields. 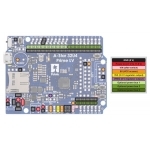 All 26 of the microcontroller’s GPIO lines are accessible on the board, including seven than can be used as PWM outputs and twelve that can be used as analog inputs. 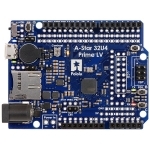 The ATmega32U4 is capable of native full-speed USB, which makes it more versatile than similar boards that rely on USB-to-serial adapters: in addition to supporting a virtual (CDC) serial/COM port interface, the A-Star can appear to a connected computer as a mouse and keyboard. 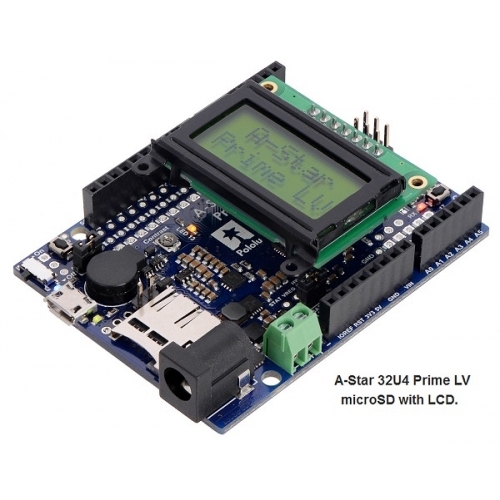 The A-Star’s USB interface can be accessed through its USB Micro-B connector. The A* Prime supports the on-board microcontroller with many additional features and improvements over competing products, including enhanced connectivity and superior power management. A major feature of the A* Prime LV is its power system, which allows it to efficiently operate from a 2.7 V to 11.8 V external source. 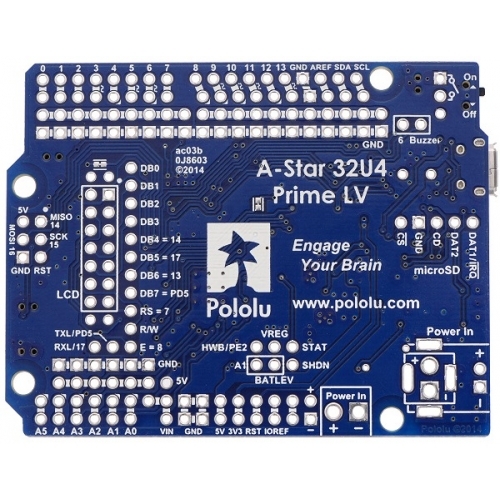 The input voltage is regulated to 5 V by a TPS63061 switching step-up/step-down (buck-boost) converter from Texas Instruments. The regulator’s flexibility in input voltage is especially well-suited for battery-powered applications in which the battery voltage begins above 5 V and drops below 5 V as the battery discharges. 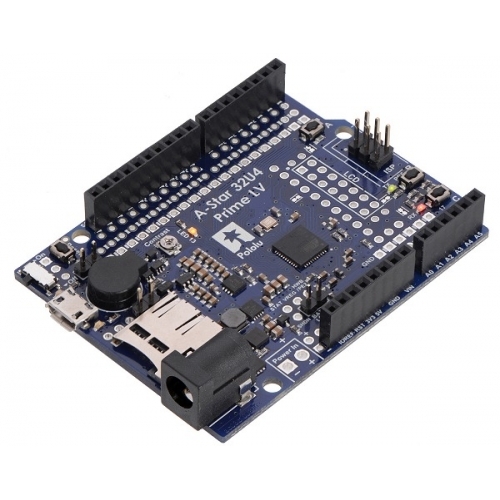 Without the typical restriction on the battery voltage staying above 5 V throughout its life, a wider range of battery types can be considered.